This case was referred to us by TAPS. We handle the case for them in the NJ/Eastern PA areas. This was SJGR's first visit to this private home in Forked River NJ. The witnesses here reported seeing dark shadows moving through the home and smelling smoke and an oil smell. Two witnesses reported that there beds felt like someone was shaking them. Two investigators reported feeling spirit activity that was linked to the family, possibly relatives. Both stated that there impressions were benign & even playful in nature. Another investigator had the impression of a male attached to the land, but felt connected to one of the family members living there. This male occasionally liked to play with the dogs, & was also thought to be benign. Physical evidence was obtained by photo and audio. 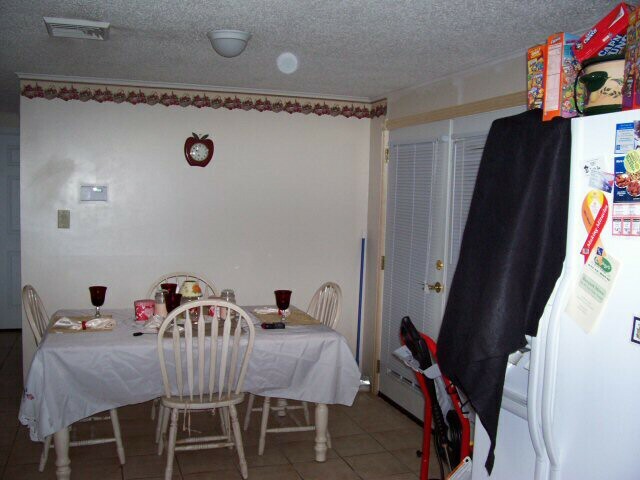 A below average amount of all photos taken had abnormalities (orbs) in them. 2.5% of photos with anomlaies falls within the normal range expected to be found in any location. Two (Class-B) EVP (Electronic Voice Phenomenon) recordings were also obtained. 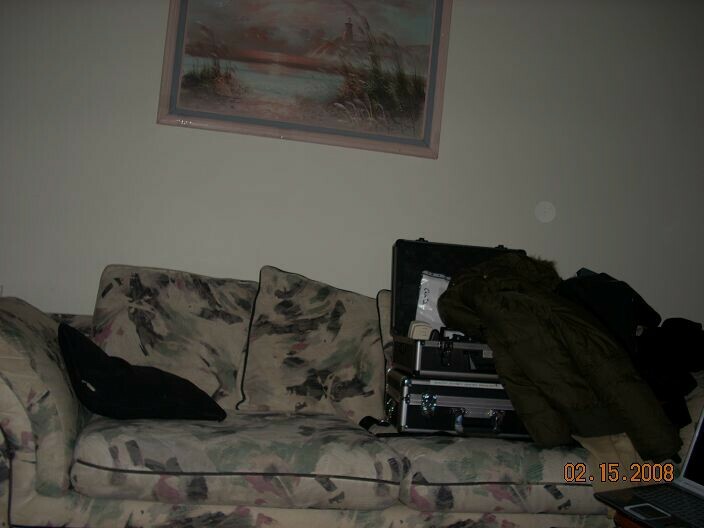 10:14pm - Investigator Flatt took this photo at random in the Living Room.